Greetings. You do want to explore the deep dark below for 4K TVs? I'd be happy to fill you in. I found these scattered around the web making it difficult for anyone looking for 4K HDR TVs. Buzzwords! 4K, HDR, 8 bit,10bit,IPS,upscale,gaming, input lag. TV market is now created around these buzz words, gimme a break! Customers don't even understand, and reps couldn't explain themselves, so why not do it for everything? Most of us are familiar with major players in the AV industry. LG, Samsung, and Sony are major players, Vizio, Hisense, Sharp, TCL; Panasonic isn't behind either. But not many can produce great 4K HDR TVs. So, when choosing an HD TV for gaming what specs matter most? Cross out plasma TVs. They are in decline and manufacturers already decided to discontinue it 2-3 years go.Now that left us with the two. LED and OLED. Each has their Pros and cons. LED vs. OLED needs another guide. So I'll summarize it. OLED is the king of picture quality. OLED wins in contrast ratio, Black level, and jaw-dropping image quality. The LCD TV's wins in brightness, energy consumption and price. Input lag is the most important stuff for gaming. How inconvenient when your network ping goes high?Just like that example; for gaming, you need very low input lag. Low input = smoother gameplay, The input lag gets even higher in 4K+HDR modes. 300ms < game is unplayable and don't even think about it! What typically happen is people trade-offs input lag with picture quality, Check out the recent case of angry gamers demanding to fix the input lag of LG OLED TVs which has the best picture quality. And no TV is marketed as gaming TV's, which is odd considering millions of consoles and PC's out there. So you've to research about it properly before purchasing it. All 4K TVs on the market today, are either 60Hz or 120Hz.Some do 240Hz as well It isn't deal-breaking, Because when you turn on game mode, all lovely motion enhancement stuff will get turned off. If you watch a lot of sports broadcasting stuff and videogames 120HZ is better. We prefer 120HZ. It's the new buzz word and premium future. It's real, though. It's an upgrade from 4K TVs. Not only games support it, a lot of streaming networks and movies now supports it, and even youtube now added HDR support. Then there're two formats of HDR. HDR10 and Dolby vision. Both are different technologies to implement HDR. Dolby Vision needs physical chip built on the TV to support HDR. So you can't get it via patch or firmware update. Some TV's support both HDR10 and Dolby vision. Most manufacturers, content developers, and streaming networks decide to go with HDR10 because of no license fee to implement the technology. Some support two formats as well. But for HDR gaming you need HDR10 support and not Dolby vision. What do they tell you and What it means? 4K HDR, HDR premium, HDR Pro, HDR1000, HDR ready.... It means your TV supports HDR. Its different names for HDR support.But you can't confidently buy the tv with these names. Why? To get the full benefit HDR, you need a native 10bit panel (Manufacturers sometimes claims 8bit+ FRC as 10bit but, it's not 10bit ), Wide color gamut support and Good brightness; True HDR requires a very high wide color gamut (Rec. 2020), contrast ratio, and also maximum luminescence being able to output ~350 cd/m2 or 350 nits max. 1 cd/m2 = 1 nits, which is the unit of luminescence. So that's the bare spec to get the benefit of HDR. Also, HDR is not making images brighter, which in itself can be effective, but enabling detail to be seen in both dark and light areas. It's an alliance of the industry giants subgroups of 30 at the moment. 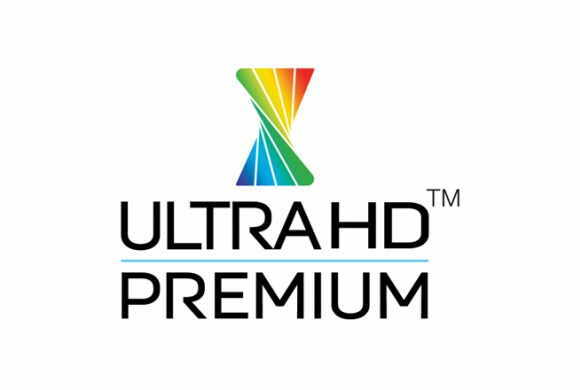 'UHD Alliance Premium' Certification sets out the technical standards for HDR TV. 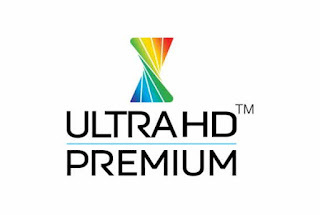 UHD resolution ( 3840 × 2160 ) + 10-bit color + wide color gamut (BT.2020) or reproduce more than 90% of P3 colors + greater than 1000nits peak brightness and less than 0.05 nits black level or more than 540nits peak brightness and less than 0.0005 nits black level. Confusing? Haha, don't worry. Look for this logo. See the World in HDR? If you are watching it through non-HDR monitor or Tv, then it doesn't do justice, but still, you can see the improvements right? I Can see it. And keep in mind HDR is still at infancy! We don't know what coming next. You may often stumble across these. Full Array, Direct-lit, Edge-lit. What's the difference? Don't shop or compare TV during daylight- Why? Because you can not tell the difference in daylight. It's in the dark you will spot the differences and see how good a tv is. What you saw on shop won't be same as when you see it at home. It depends on the person and has mixed views. If you sit in the center, curved is better. We prefer flat versions. Its hard to choose TV for everybody. Everyone has a different budget and different priorities.Still..
Price Drop on TV's - When to Pick one? I don't know. There's still room for expansion. What ya think.? LG 55UH7650 ela e boa pra jogos ps4 e xbox one.